Absolutely Beautiful designer home. This three level masonry 3BR; 2.5 BA town home with sunny 32 ft long living room with hardwood floors is the largest single family model in the condo town house association. Striking renovation less than less than 5 years ago. Wonderful open kitchen to spacious dining room opens to big patio/garden! Elegant floor plan. Great for entertaining. Unbelievable extra storage. Assigned parking - You get it all! Located on the SW/Waterfront within walking distance to U.S. Mall - the center of Washington DC and the new Wharf. Easy walk to new sports stadiums and Arena Stage. Lovely quiet setting yet you are downtown in this developing magnet location. Just look at all the cranes! SchoolsClick map icons below to view information for schools near 755 Delaware Ave SW #181 Washington, DC 20024. Home for sale at 755 Delaware Ave Sw #181 Washington, DC 20024. Description: The home at 755 Delaware Ave Sw #181 Washington, DC 20024 with the MLS Number DCDC380362 is currently listed at $849,900 and has been on the Washington market for 70 days. 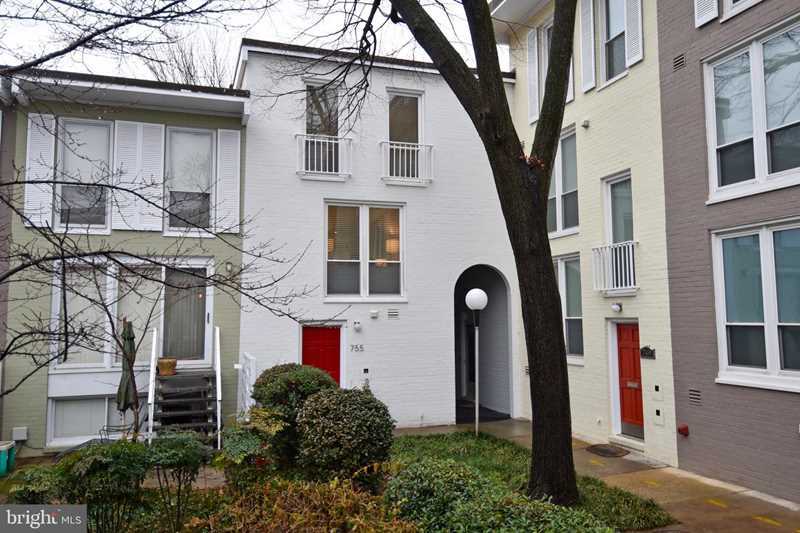 You are viewing the MLS property details of the home for sale at 755 Delaware Ave Sw #181 Washington, DC 20024, which is located in the None Available subdivision, includes 3 bedrooms and 3 bathrooms, and has approximately 1728 sq.ft. of living area.